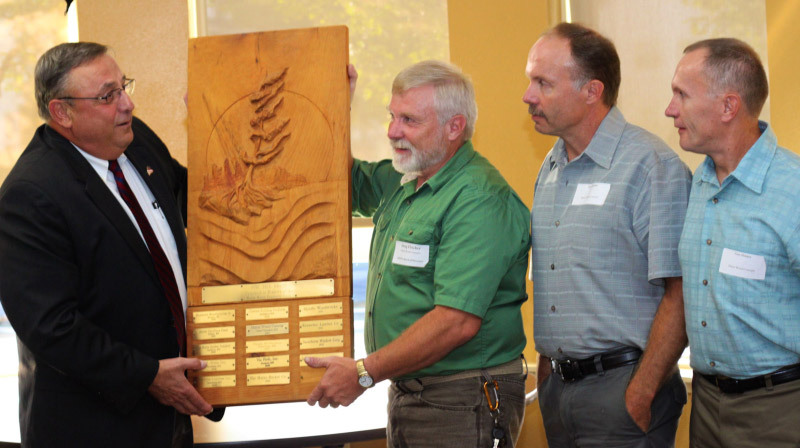 Maine Wood Concepts, parent Company of Fletchers’ Mill, awarded the Pine Tree Award for 2013 by the Maine Wood Products Association. The Pine Tree Award is given annually to a Maine Wood Products manufacturer that has grown its business through innovation. A significant factor in winning the award for 2013 was the strategic acquisition of the Vic Firth Gourmet Division by Maine Wood Concepts in December 2012. In presenting the award to the Fletcher Brothers, Maine Governor Paul LePage said “Over the last six months this company has added more than 30 jobs and made significant capital investment to expand their product lines”.